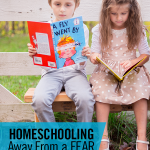 I read this article and wanted to share it with you: Homeschooling Away From a Fear Versus Towards a Goal https://blog.sonlight.com/homeschooling-goal-fear.html. 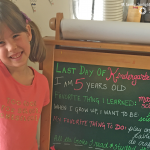 I didn't decide to homeschool for lofty reasons. I didn't have a clear vision for my children's education. I didn't even really want to be at home with them all day. So with John's encouragement, I reluctantly agreed to try homeschooling. I planned to homeschool to get away from something–away from impossible tuition or an unacceptable public school option. 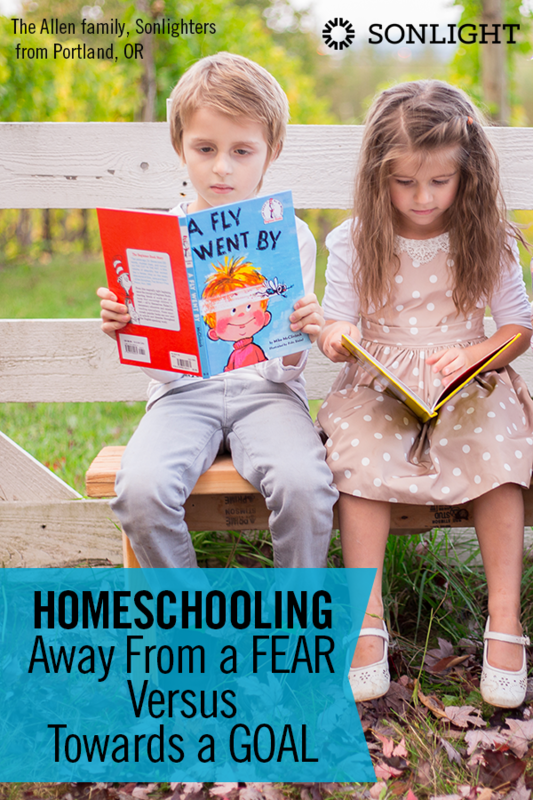 And at first, it might work to homeschool in order get away from something. Maybe you need to get your child away from a bully, or out of a school that doesn't meet her special needs. Maybe you’re generally scared of public education. That can be a good place to start. But running away from something won’t lead to the fulfilling homeschooling experience you want. Because once you get away, what are you going to do then? For the long haul, we all need to answer what we are homeschooling towards. 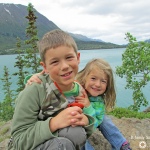 What are your positive motivations for homeschooling? If some of your motivations are fear-based, can you flip them around and think of them in a more motivating light? Then you know what you’re working toward! Do you feel the powerful shift that can happen here? It’s hard to get up every day and be motivated by something you’ve already escaped or avoided (e.g. bullies, Common Core or a bad student/teacher ratio). But if you know what you’re working toward instead, you can get up every day motivated by those goals. 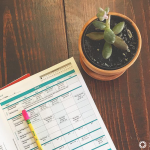 So … what are you homeschooling toward? I quickly moved from homeschooling out of necessity to homeschooling because of what we could provide for our children. 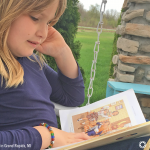 Snuggle on the couch to read and read and read with our children! 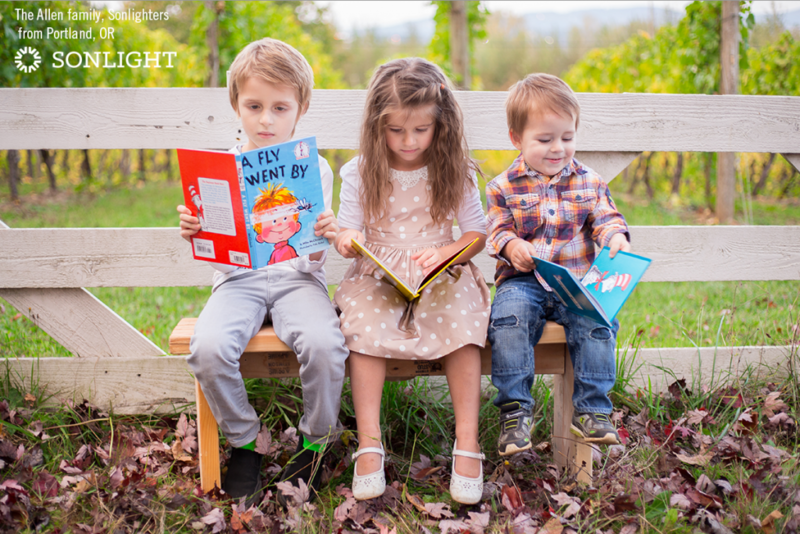 I couldn’t wait to share all my childhood favorites with them and discover new favorites along the way. Those are some highlights of what I homeschooled toward. (You can read more in our Top Ten Goals article if you’d like.) This is what kept me going day in and day out. And I am so glad I did! As I share in our e-book entitled “It Was Worth It! 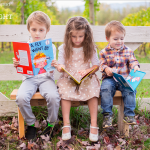 Real Stories to Inspire Your Homeschool Journey”, homeschooling turned out to be a beautiful and rewarding path for our family.